Lister Petter is an iconic British Brand with a long and celebrated history in industrial engines. From our beginning over 140 years ago, we have consistently set the standard in innovation, quality and reliability, whilst building expanding territories and partnerships. Enboarder is the Experiential Onboarding platform and is the new way businesses onboard. Our platform emphasises the value of human connection and experience, putting the employee at the centre of everything we do. With Enboarder you can turn new hires into highly engaged, long term employees and managers into onboarding rockstars. Enboarder was founded in 2015 from the belief that the traditional approach to onboarding was broken. By putting people before paperwork and looking at onboarding through the lens of the Employee Experience rather than HR efficiency, we have helped businesses all over the globe, empowered HR teams and hiring managers to deliver onboarding experiences that wow. 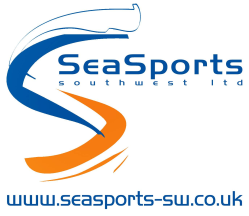 At SeaSports South West, we run RYA Watersports tuition and equipment hire for a huge range of watersports including sailing, windsurfing, kayaking and canoeing, paddle boarding, power boating and personal watercraft (jetskis). From our base in Teignmouth, Devon, on the South Coast of England we train every level from beginners to professionals in (almost) every type of watersport. We also run training and preparations for the annual Atlantic Rowing Challenge. Greystar is a leading, fully integrated real estate company offering expertise in investment management, development, and property management of rental housing properties globally. Greystar manages and operates an estimated $115B of real estate in over 180 markets globally including offices throughout the United States, UK, Continental Europe, Latin America, and the Asia-Pacific region. Active sports apparel designed to enhance your performance and stay comfortable mile after mile. Whether your ambition is to run your first marathon, complete an Ironman, or climb Mount Kilimanjaro, we’re here with activewear that will enhance your performance. Our apparel is intelligently designed to optimise your training and endurance so you can set goals with confidence and even go beyond. Sundried activewear features the most advanced technology on the planet, including anti-odour, UV protection, and temperature control, all created ethically and sustainably and sold at a fair price, direct from us to you. On a cycle journey the length of South America, we grew tired of the consistent crash from coffee and artificial energy drinks. We discovered that local teas were a much more sustainable way to fuel my mission. With the help of nutritional experts and after testing them out on a world record run across Iceland, we’ve now blended a range of highly functional, 100% natural blends for optimum performance. natural fabrics and naturally occurring colours. Osprey was born in California, 1974 at the seat of a single sewing machine, with a head full of ideas and a desire to design & build innovative backpacks to the highest quality. Today, Osprey products continue that pioneering spirit, being used on the highest mountains to the remotest islands and everywhere in between. To become part of the 250 club, visit our ‘Sponsor Us’ page.